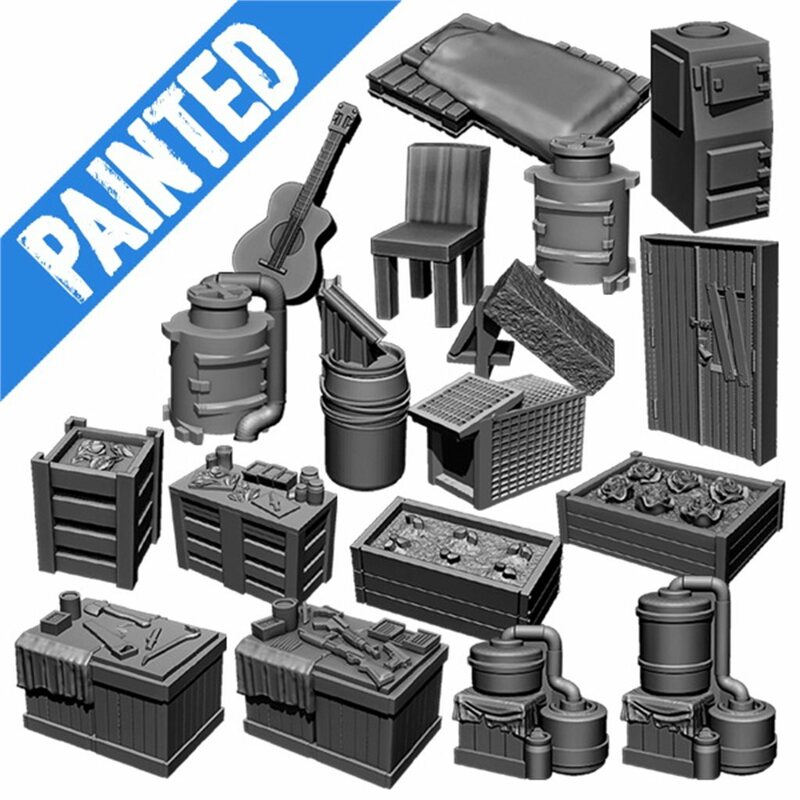 A set of 18 fully painted pieces of furniture to be used during the game along with the corresponding cards. It is a set of highly detailed sculpted miniatures made of resin. This set of highly detailed sculpted miniatures is made of resin.